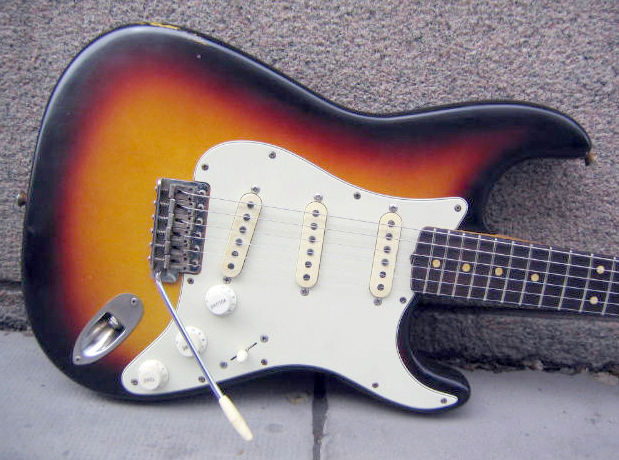 How Rory Gallagher's Fender '61 Sunburst Stratocaster changed and stayed by Rory's side constantly throughout his career. 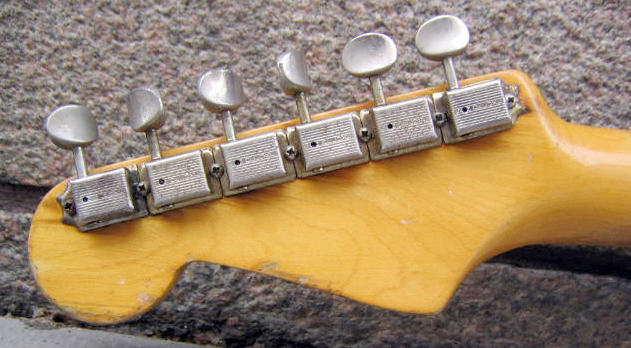 What make were the original tuning pegs / machineheads on the strat, when Rory first bought it from Crowley's in Cork? Btw, Are the frets jumbo or medium jumbo on the strat neck when new? no prob! can help you with that no prob. The frets were originally medium and were changed to jumbo at a later date. you can let me know bout the 2nd guitar,do u have my email add? Last edited by Jay Jay on 04 Apr 2010, 21:47, edited 1 time in total. Nice goals there, JJ. I'd like to do something similar, but my attention to detail would kill me on that sort of thing! I wouldn't rest til I had two guitars that would be impossible to tell from real '61 strats. One day I'll get a Rory-strat project on it's feet! here's my most recent work! 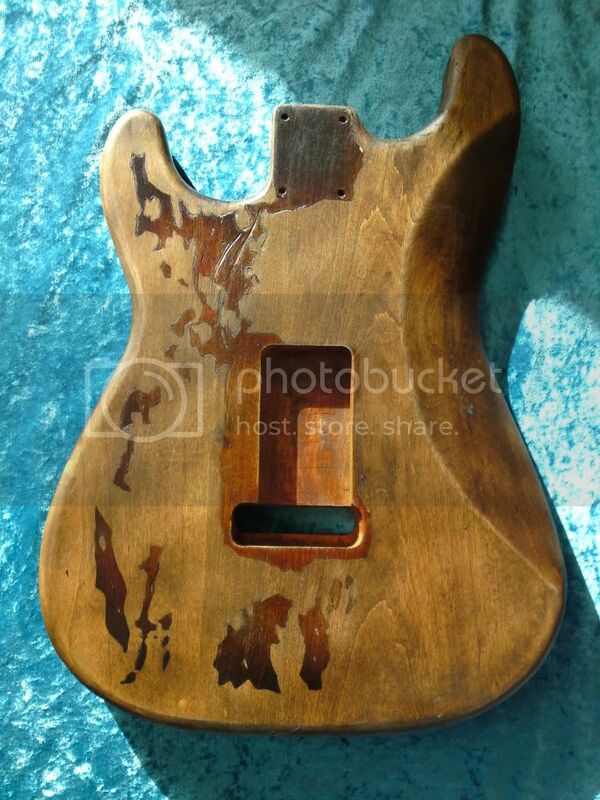 Very authentic looking, I am looking forward to seeing the completed guitar, it must be hard work, well done and all the best for the future. Out of curiosity, what is the process you go through when painting/relicing your Rory strats? I've seen it done in a couple of ways, one being taking a 3-colour sunburst strat and taking off the paint until it matches Rory's. Another way being masking off most of the guitar, except the areas which would have paint, and painting the sunburst onto that masked body. Do you use one of those methods, or your own way? Hi, i have done it both ways, and have experimented with alot of techniques,both are very very time consuming. 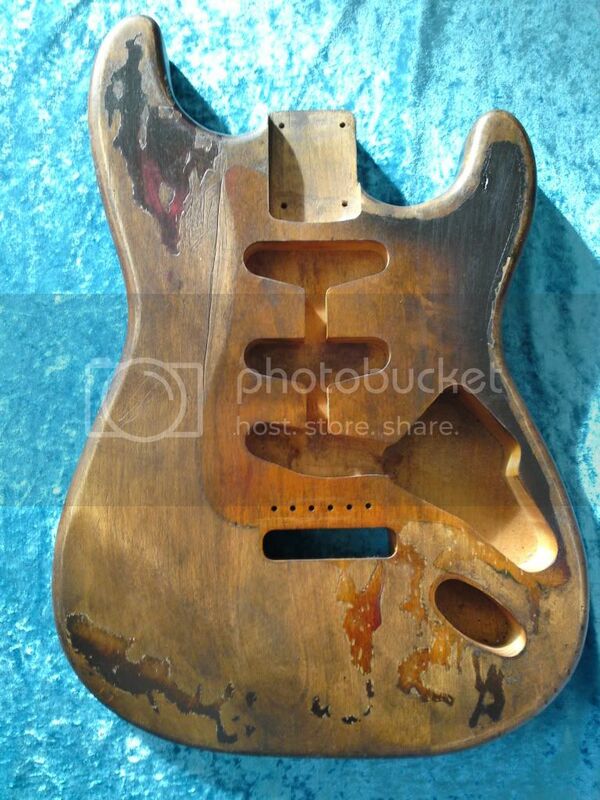 Most recently though i have managed to get hold of sunburst nitrocellulose paint,so masking is the route i take mostly..and i pay alot of attention to details,ive collected lots of photos of Rory's strat over the years and from all different era's. I even took some photos of it myself from different angles at exhibitions.That guitar fascinates me!